These are great for curbing sugar and carb cravings since they are super filling. Often when we crave carbs we actually need protein. 1/2 cup dried fruit, nuts, seeds, carob chips, chia seeds, walnuts etc. 1. Stir all ingredients together in a medium bowl. 2. Place the bowl in the refrigerator for half an hour. 3. Remove from refrigerator and roll into balls of about 1 inch in diameter. 4. Pour about 1 ½ cups of shredded coconut in a pan. 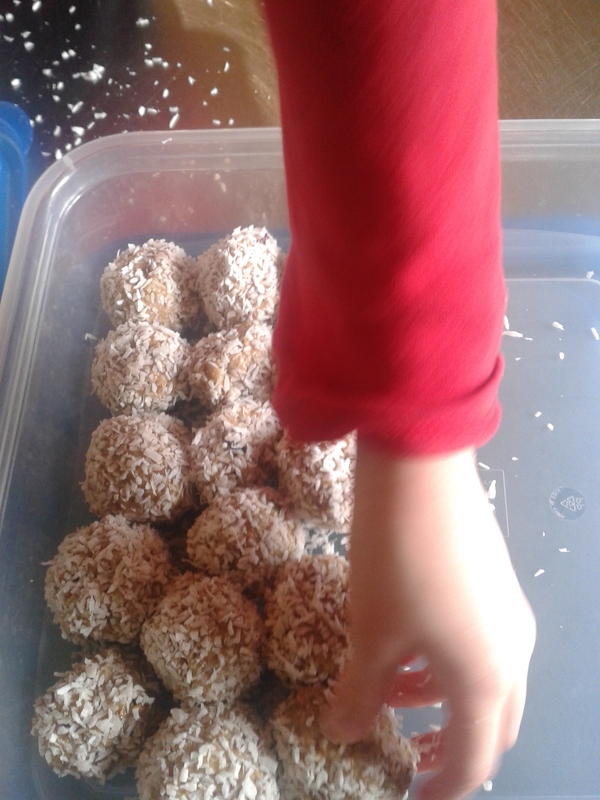 Roll the coconut balls in the coconut then store in an airtight container.